PHILADELPHIA, April 3, 2019 /PRNewswire/ — Quil, the healthcare joint venture from Independence Health Group (Independence) and Comcast, today announced the appointment of Carina Edwards as CEO. Edwards will lead the new digital health company’s efforts to provide patients and their caregivers personalized content and information related to specific healthcare journeys. Since formation in April 2018, Quil has successfully built out its cloud-based platform, which is expected to be accessible nationally, across multiple distribution channels and devices. The company plans to launch their first pilot programs with patients later this year. A leader with a history of success in creating new products and transforming organizations to meet their financial goals, Edwards most recently served as Senior Vice President of Customer Experience and Corporate Development for Imprivata, a leading health care information technology company based in Lexington, Mass. At Imprivata, she built an award-winning customer experience organization resulting in 99 percent customer retention. Prior to joining Imprivata, Edwards held executive positions at other leading healthcare technology companies, including Nuance, Zynx Health, and Philips Healthcare. 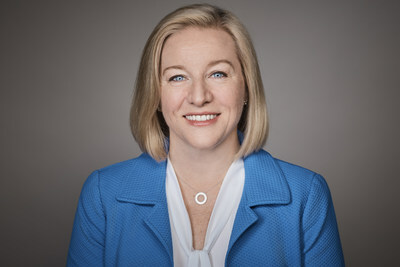 In 2019, Edwards was named one of the “Female Health IT Leaders to Know” by Becker’s Healthcare. Since 2016, she has served as a board member for the College of Healthcare Information Management Executives, the professional organization for chief information officers and other senior IT leaders. She earned a bachelor’s in Management Information Systems and Decision Sciences from George Mason University, and an MBA from Boston College. Quil has benefited from the commitment of two national leaders in healthcare and technology. Independence has a long history of innovation and dedication to the consumer experience, while tackling difficult healthcare challenges through partnerships and investments in scalable, high-impact healthcare ventures. As one of the world’s leading media and technology companies, Comcast brings substantial technology, communications, and media capabilities that the Quil team is leveraging to better serve patients. Quil, a digital health company, delivers actionable and personalized health itineraries for patients and caregivers, answering the question “What Happens Next?” in their healthcare journeys. We combine the powers of precision data, state-of-the-art technology, and security with unparalleled consumer reach to help individuals navigate today’s chaotic healthcare landscape. Headquartered in Philadelphia, PA with additional offices in New York City, Quil serves individuals, healthcare providers, and payors nationally.